As women, sometimes we’re expected to be somebody we’re not. In past generations, women were expected to set aside any wants, needs or dreams of their own in order to meet those of everybody around them. Not anymore. 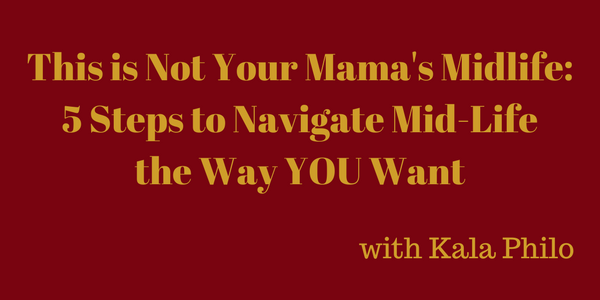 My guest today, Kala Philo, founder of YinCaravana, is here to share with us the five steps it takes to navigate your mid-life to achieve the things that YOU want. She’ll be sharing her own personal journey of solo-travel and eventually relocating with her family to Mexico City. You don’t want to miss this show and the FREEBIES she’s offering!